Women at Upstart are a diverse group, representing 12 different countries and graduates of 54 different universities. What do they love about Upstart? We posed the question to our Slack channel, and here’s a sampling of what we heard. Superwomen is a grassroots organization of Upstarters who are committed to making Upstart a leader in empowering women at work. In the past year, we’ve hosted movie nights, conducted an ongoing leadership book club, run multiple mentorship programs, organized fireside chats and more. 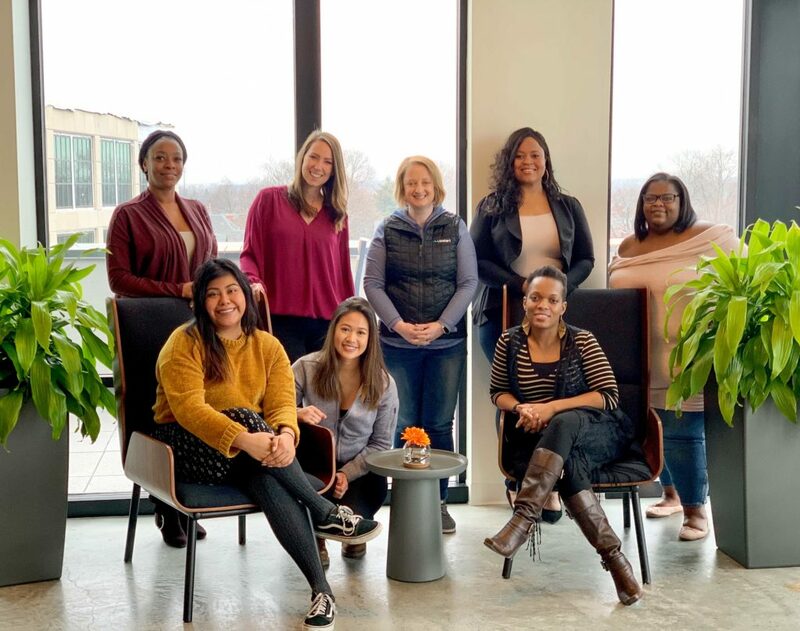 Superwomen provides a safe space for women to share and learn, make friends, take on new initiatives and leadership roles, and contribute to the community at Upstart and beyond. Upstarters at Superwomen’s recent Women’s Day celebrations. We shared stories of women who inspired us. 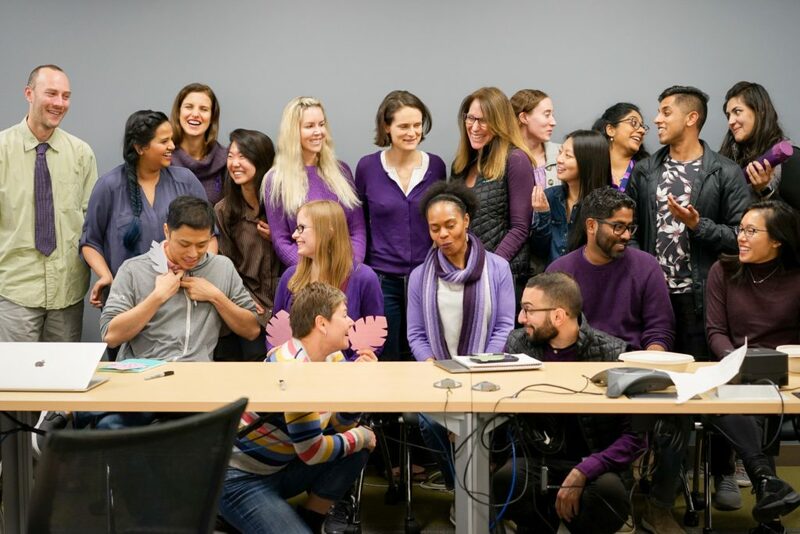 Few tech companies can claim to have a female co-founder. Only one can boast having Anna Counselman, Upstart’s co-founder and Head of Operations. Prior to founding Upstart, Anna led Gmail Consumer Operations for five years as it scaled from 150 to 450 million users. She received a White House Champion of Change award and was one of Silicon Valley Business Journal’s 40 Under 40. In addition to juggling her responsibilities as Head of Operations and being the mother of two young kids, Anna is deeply involved in making sure that Upstart has a great culture. Make clever use of numbers. Be smart but know you might be wrong. Don’t assume it can’t be done. Whether in Columbus or San Carlos, Upstarters enjoy casual work environments with flexible schedules, a generous time-off policy (that we actually use! ), catered lunches daily and complimentary snacks throughout the work day. Each employee receives an annual allowance for personal development, which can be used for education or wellness purposes. This is perfect if you’ve been dying to check out that trendy new gym, or buy that new textbook! We also have a generous conference* and team development budget so that Upstarters can learn about the latest trends and research in their industry. We’re GROWING and eager to welcome new Superwomen to our community! Superwomen at our new Columbus office, come join us! Upstart is growing quickly – we’ve doubled our annual revenue each year for the past 2 years. We’re expanding our teams in Columbus and San Carlos so we can tackle more ambitious projects as we scale. Join us as we bring a combination of modern data science, elegant design and a commitment to learning and adapting to improve our borrowers’ lives. View our Careers Page for open positions! *Psst! Upstart will be at the Women in Analytics conference this week in Columbus. Come meet us at the conference to learn more about who we are and what we do!